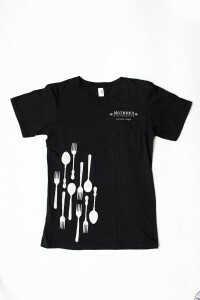 Black Anvil 4.5 oz. 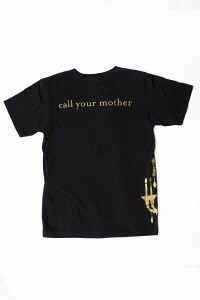 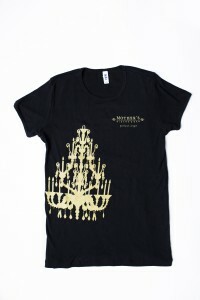 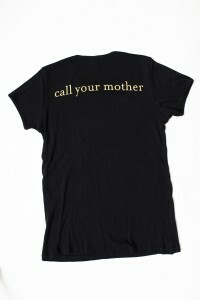 t-shirt with an off-center chandelier imprint on the front and “Call Your Mother” on the back. 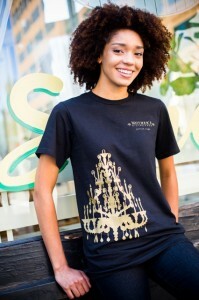 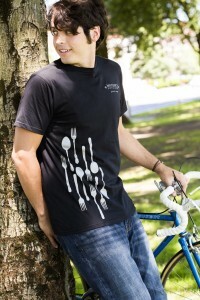 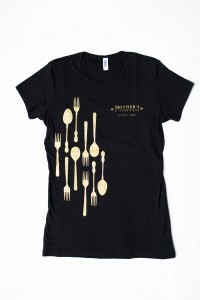 T-shirt is available with imprint in Gold or in silver. 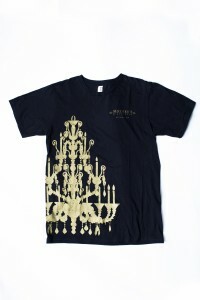 Picture shown in Gold.